I would bet I owned a dozed Etch A Sketches of varying sizes during my youth. My kids have several of them and still play with them each time we check out at the store since they tend to have little versions near the register. I remember the challenge just to make stairs using the white knobs when I was a kid. 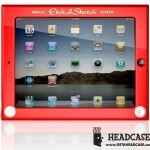 Headcase has announced a very cool new case for the iPad that is called the Etch A Sketch iPad case. 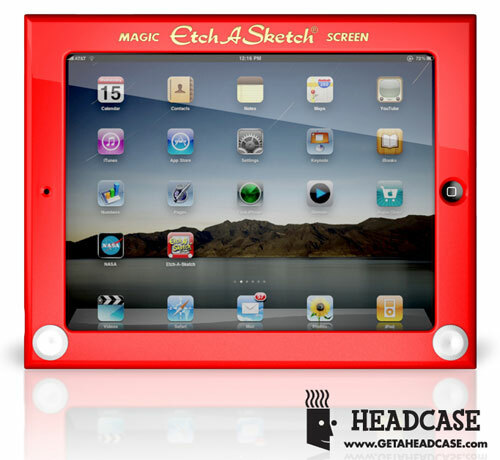 The case looks exactly like the Etch A Sketch that we are all used to. The thing has a couple white knobs printed on the corners of the case for looks. Those knobs are only images, not the real deal. 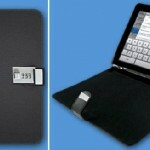 The case has a couple props on the back to lift the iPad off a flat surface kind of like the props on most keyboards. 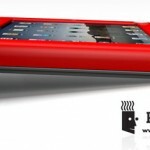 The case leaves all the ports, sensors, and controls for the iPad exposed for use. 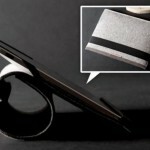 You can order one right now for $39.